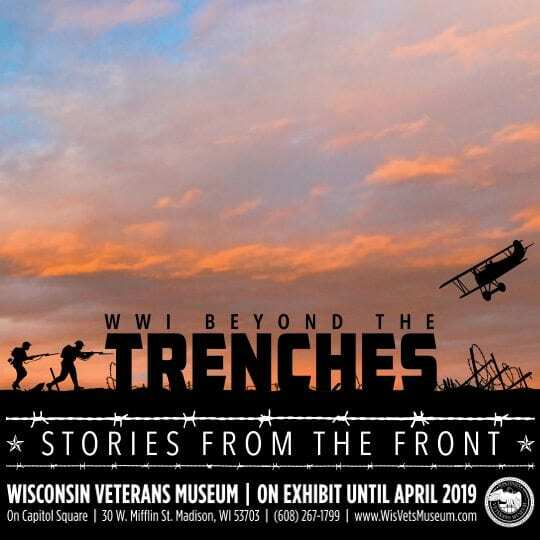 The Oral History Collection contains the personal stories and military experiences of Wisconsin-connected veterans of World War I to the present day. There are currently over 2,000 interviews in the collection. These interviews complement and extend the archival, library, and artifact collections of the museum. Oral history is a field of study and a method of gathering, preserving and interpreting the voices and memories of people, communities, and participants in past events. WVM interviews consist of a narrator and an interviewer who have agreed to record a conversation that will be publicly accessible and used as a primary historical source. 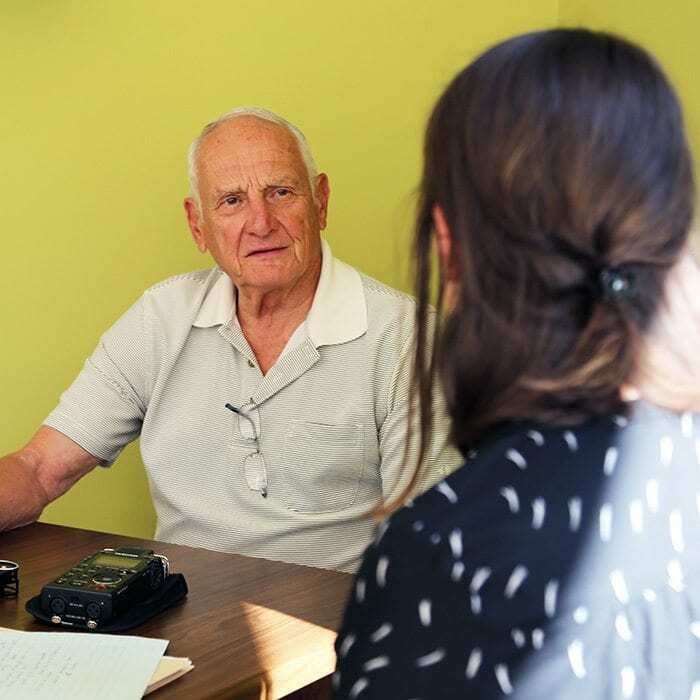 We record and collect oral history interviews with Wisconsin-connected veterans, from all branches of service and all eras and conflicts. Every story is an important part of the narrative we tell at the Wisconsin Veterans Museum. We currently have just over 2,100 oral history interviews. The majority of the interviews are conducted by WVM staff or trained adult volunteers. We also have interviews in the Collection that were donated by individuals or other organizations. WVM holds copyrights to most (but not all) of the interviews in the Collection. Education and Research use is permitted for all interviews in the Collection. Patrons may NOT make copies of the interviews without permission from WVM. Restrictions on other types of use may apply - please contact the WVM Oral Historian with questions. Recordings and/or transcripts for many of our interviews are available onsite for patrons and visitors to the Research Center. PDFs of some transcripts can be found on our Transcripts page, where they are arranged by conflict. Our Featured Interviews page spotlights different oral history interviews and projects - often in coordination with a new exhibit or other Museum programming. Most of these interviews are available to watch or listen to online and many have synchronized transcripts and/or indexes with a Search feature. This page is updated regularly, so check back often! Digital copies of most interviews are available upon request. The digital format that is available will vary based on the original recording media and other factors. Yes, if the narrator is a Wisconsin veteran and the proper paperwork accompanies the interview. We are specifically interested in archiving original materials, but copies of an interview may be accepted in some cases. The narrator and interviewer will both need to sign a Deed of Gift. For more information, contact the Oral Historian. If you or someone you know would like to be interviewed, please complete our Online Interview Request Form (PDF). We will respond shortly with some additional information about the program and what to expect from the interview process and we will assign your interview to an interviewer who will then schedule your interview. Interviews typically last 1-2 hours and can take place at the narrator's home or any convenient location that can provide a quiet space for quality audio recording. We are always in need of volunteers who can work on creating, reviewing and abstracting transcripts. If you are interested in becoming a Volunteer Interviewer you will be required to complete extensive training (sessions offered multiple times a year). We take interviewing very seriously in order to be sure that our veteran narrators have a positive experience and that a quality primary record is created by the interview process. All Volunteer Interviewers receive interview assignments from the Oral Historian, who reserves the right to assign or not assign interviews as she sees fit. We are always interested in partnering with individuals and communities who are working on related projects. If you are currently working on a project or are considering starting a project that you think would be relevant to our Collection, please contact us. We can offer training, equipment rental, and we will serve as the official archive for your work. To learn more about Wisconsin’s wartime oral histories and for tips on starting your own oral history project, visit Recollection Wisconsin's Listening to War.